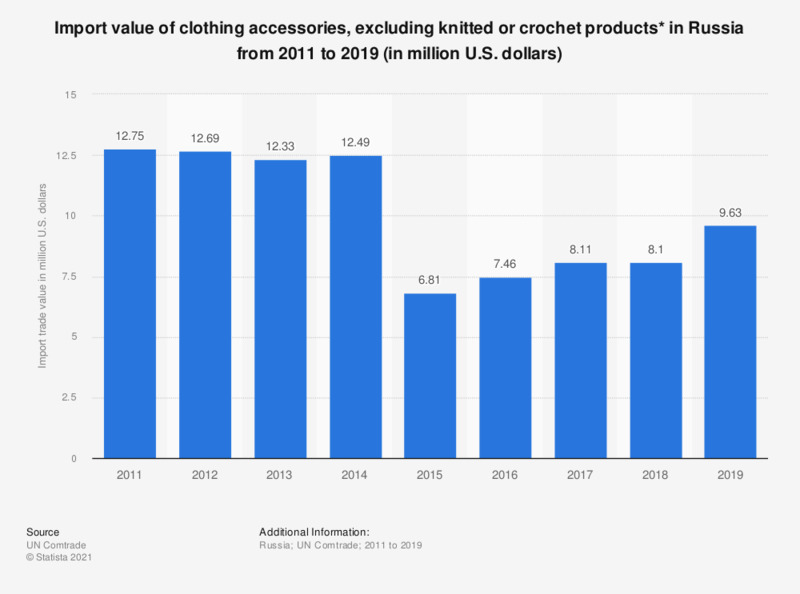 This statistics depicts the value of clothing accessories, excluding knitted or crocheted products, imported to Russia between 2011 and 2016. Over the last two years, the import value decreased significantly, measuring at 7.46 million U.S. dollars in 2016, compared to 12.75 million dollars in 2011. Figures taken from database using commodity code 6217 'Clothing accessories n.e.s. ; parts of garments or accessories other than those of heading no. 6212 (not knitted or crocheted)'.